James has dedicated himself to the real estate field since 2001. During this time, he has excelled in reaching out to buyers and sellers from all areas, in order to make the sometimes daunting task of home searching a smooth and easy experience. Raised in South Florida, James has acquired expertise in Miami's diverse neighborhoods. He is dedicated to bringing his clients knowledge of the local market and delivering exceptional service in all aspects of Real Estate. 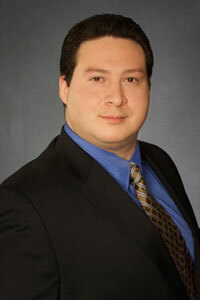 His specialties are single family homes, luxury residences and condominiums throughout the South Miami-Pinecrest areas. The foundation of his business is attention to detail that includes hands on approach, personal service, and commitment. These qualities provide a close one on one experience catering to each individual client.